Many people do not like cream. However, there are several benefits of cream. Amount: The recent research has shown that that food which has saturated fat, they are healthy. 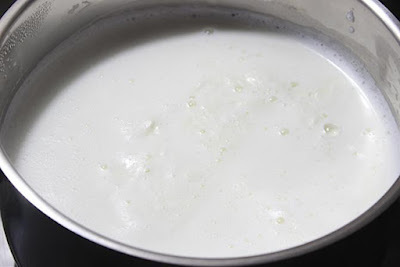 The daily consumption of 1-2 teaspoon cream gives nutrients to the body. The weight won’t increase. The recent research has shown that that food which has naturally high fat and low carb they are considered in good cholesterol. This reduces the risk of heart disease. How Benefits: Lactic fertilization probiotic is found in cream. This microorganism keeps intestines healthy. Therefore, the diseases associated with the stomach can be avoided. Eating cream detoxes the body. Its regular intake relieves knee and joint pain. Immune System: If men eat 2 teaspoon cream before bed then it relaxes the acid. It contains vitamin A and protein that strengthens the immune system and increase the capacity to fight against disease. Energy: If you are going in a gym then you can eat one cup cream before work out. Cream is very good source of protein. 50 gm cream contains good amount of calcium. It is beneficial for bones and nails. Protein is beneficial for muscles.